We offer custom work on garages & porches for the homes we build in Taylorsville, NC. 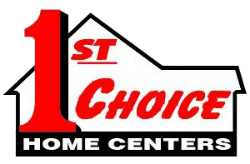 Custom Work in Taylorsville, NC – At 1st Choice Home Centers, we offer custom work on garages & porches for the homes we build. If you are considering hiring us to build a home for you and you are interested in adding a custom garage or porch, give us a call today. We have fair pricing and will do the job right the first time. We can provide custom work to properties in Mooresville, Statesville, Troutman, Maiden, Harmony, Taylorsville, Conover, Union Grove, Mocksville, and Newton, North Carolina.